In the pre-IPO economy, how do you take stock of your brand? 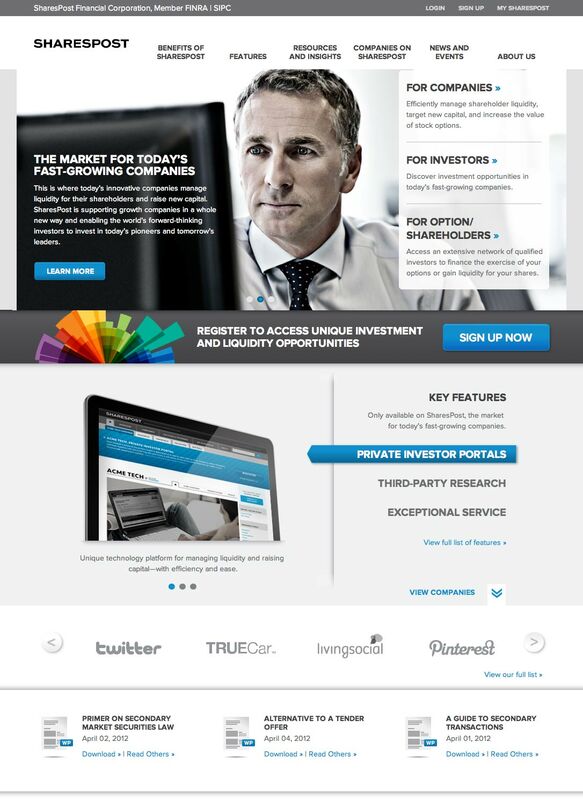 SharesPost, an online market for private company stock transactions, needed a new look, a new voice, a new brand. Because their customers—the fastest-growing, innovative companies, shareholders and prospective investors—want to transact with a company that’s as forward thinking as they are. 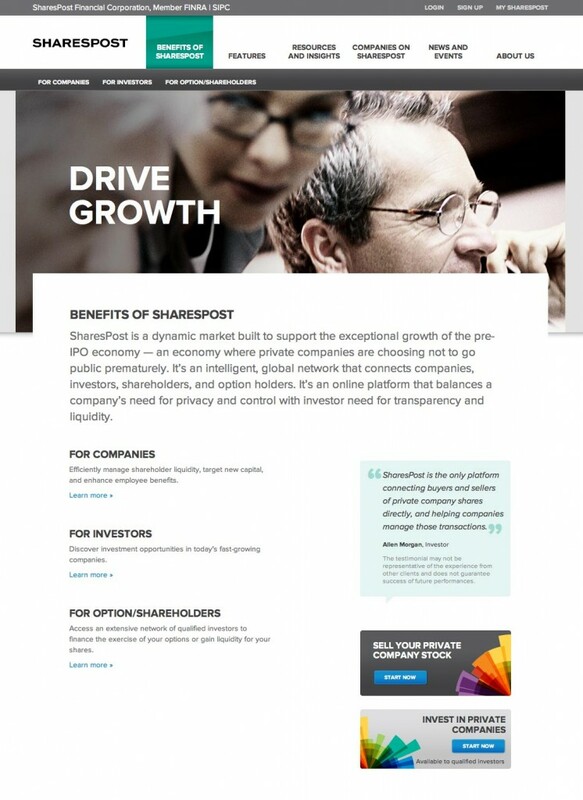 With three distinct audiences—companies, investors and shareholders—the website needed to speak to all three, conveying the unique features and benefits SharesPost delivers. From messaging to content, we helped SharesPost tell that story to the world.